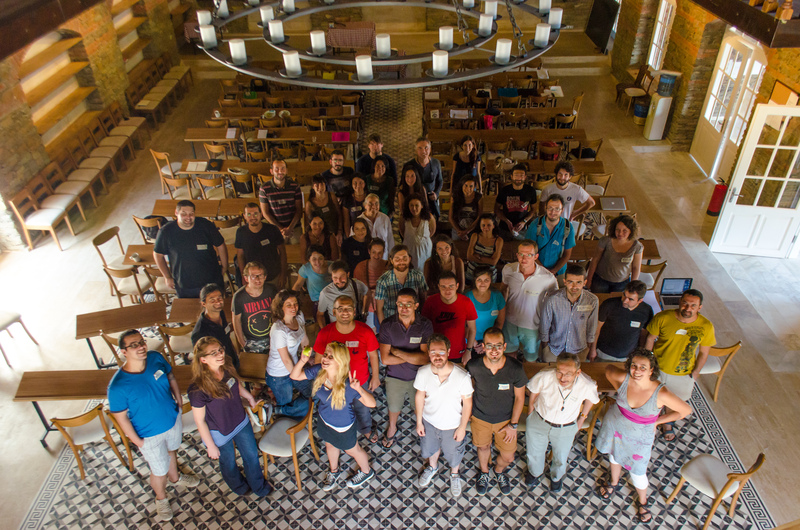 The workshop on Theoretical Evolutionary Biology (“Matematiksel Evrim” in Turkish) took place in the Nesin Foundation Mathematics Village in September 9-15, 2013. The Mathematics Village is located close to the town of Sirince in western Turkey. During the first 3 days of the workshop, 9 scientists taught 26 students various topics in evolutionary biology. Alongside these short lectures, the students developed short group projects supervised by the scientists. The participating students mostly came from PhD and MSc programs, covering majors as diverse as biology, physics and computer science. The last 3 days of the workshop were dedicated to an international symposium by welcoming 14 additional scientists from all over the world. The symposium focused on theoretical studies in evolution, but there were also presentations on experimental evolution, ecology and computational biology. The 17 oral and 13 poster presentations and all discussions during the symposium were in held in English. See the Talks and Poster for titles and abstracts. The workshop participants agreed that such interdisciplinary scientific events are extremely useful for the Turkish scientific community and should be encouraged. Similar scientific events on evolutionary biology are currently being planned in the same venue.